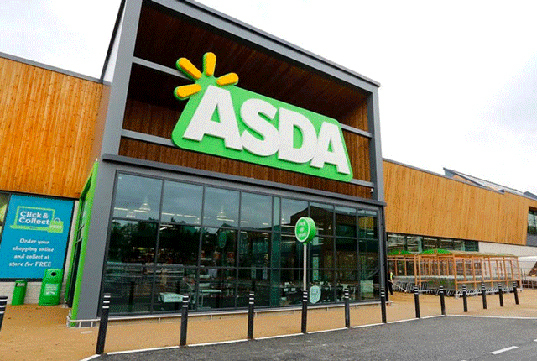 Simon Lea, the manager of ASDA Living, a grocery and lifestyle store in Manchester, England, suffered from anxiety for many years, which made shopping in busy stores a nightmare. But it wasn’t until he saw a shopper in his store struggling to soothe her autistic son that he realized he could actually take action to make shopping easier for people with sensitivities and disabilities. Lea spoke with an employee whose son has autism as well as several customers with disabilities and an autism society to determine how to best serve the customers and help make shopping a pleasurable experience instead of a stressful one. On Saturday May 7th at 8am, the ASDA Living store where Lea is the manager will hold a trial run for a quiet shopping hour, which Lea hopes to continue on a weekly basis. There won’t be in-store music, television displays, or even the quiet, muted sounds of the store’s escalators. Instead, workers will hand out maps featuring pictures of various sections of the store, and quiet will reign as customers peruse the goods and shop in a less stimulating and more peaceful environment. The quiet shopping hour is intended for anyone who wants a calm and less noisy shopping experience, not just for customers with autism or a disability. If the store wasn’t an ocean away, we would definitely be there, both to (quietly) applaud the store’s spirit of inclusion and to also take advantage of the relaxed and tranquil shopping experience. Simon Lea, the manager of ASDA Living, a grocery and lifestyle store in Manchester, England, suffered from anxiety for many years, which made shopping in busy stores a nightmare. But it wasn't until he saw a shopper in his store�struggling to soothe her autistic son that he realized he could actually take action to make shopping easier for people with sensitivities and disabilities. Lea spoke with an employee whose son has autism as well as several customers with disabilities and an autism society to determine how to best serve the customers and help make shopping a pleasurable experience instead of a stressful one. On Saturday May 7th at 8am, the ASDA Living store where Lea is the manager will hold a trial run for a quiet shopping hour, which Lea hopes to continue�on a weekly basis. There won't be in-store music, television displays, or even the quiet, muted sounds of the store's escalators. Instead, workers will hand out maps featuring pictures of various sections of the store, and quiet will reign as customers peruse the goods and shop in a less stimulating and more peaceful environment. �The quiet shopping hour is intended for anyone who wants a calm and less noisy shopping experience, not just for customers with autism or a disability. If the store wasn't an ocean away, we would definitely be there, both to (quietly) applaud the store's spirit of inclusion and to also take advantage of the relaxed and tranquil shopping experience.